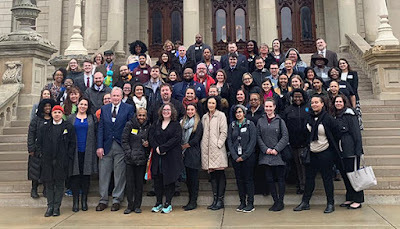 Our 9th annual Lead Education Day at the Michigan State Capitol had another great turnout with over 100 participants RSVPd from all areas of Michigan. Our goal was to educate Legislators on the issues of lead poisoning in the state. 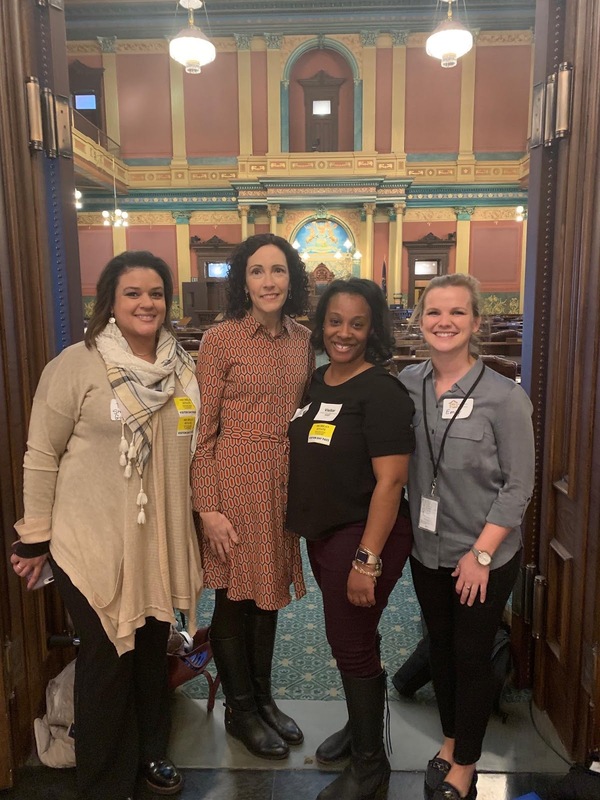 Coordinated by the Michigan Alliance for Lead Safe Homes (MIALSH) and the Michigan Environmental Council (MEC), the day was filled with meaningful conversations with lawmakers, a keynote speaker, a parents’ perspective all in the historic Boji Tower, and many networking opportunities. The event included 16 teams with a knowledgeable team leader as we met with at least 70 legislative offices. Each group was purposefully organized to consist of diverse geography considering the experience of the individuals. Team members shared their knowledge with lawmakers and their staff on MIALSH policy priorities. Some of these topics included universal lead testing for all Michigan children aged one and two, finding dedicated funding, and lead-based paint inspections for properties built before 1978 intended for occupancy. Teams also provided all members of the State Senate and State House offices folders full of valuable articles on current lead poisoning and prevention findings and data. 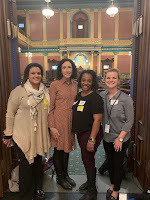 Our annual Lead Education Day is a fun and purposeful way for the voices of engaged Michiganders to be heard by legislators. We hope to see our efforts prompt positive change and success around these critical issues of lead poisoning prevention and look forward to next year’s event!